Not up for surfing today? 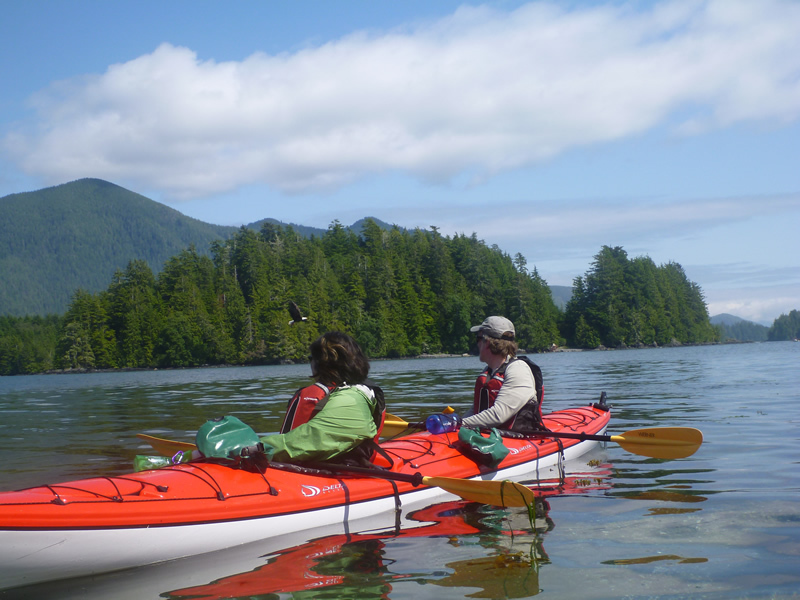 A Sea Kayaking Day-Tour is your opportunity for an alternative Tofino adventure that promises plenty of enjoyment and is ideally suited for novice to intermediate paddlers. Black Bear Kayaking is nothing, if not flexible! 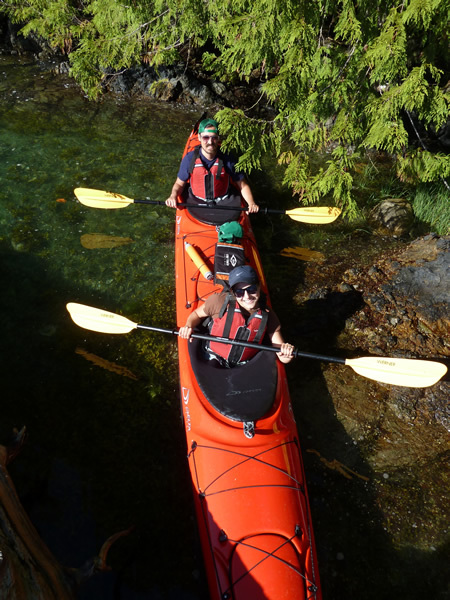 Daily you can choose from our 2.5hr, 4hr, 6hr or 8+hr kayaking trips. Booking is simple! You can do so online or by calling our adventure center. 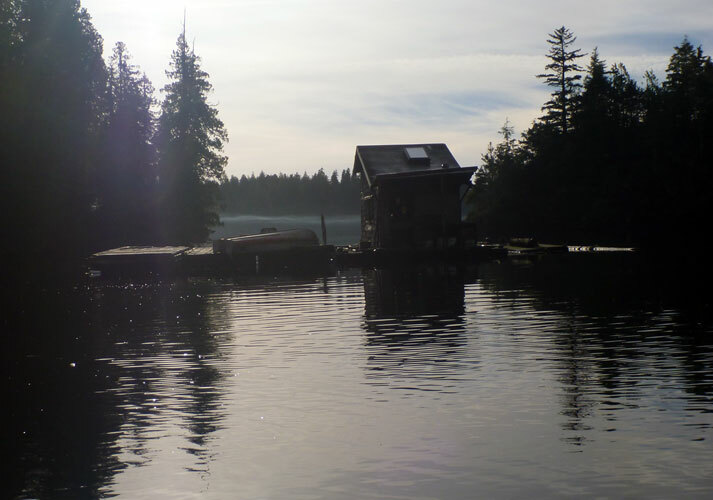 Before departing from our dock, your certified, experienced and knowledgeable guide will prepare you with a quick introduction to paddling and the environment. 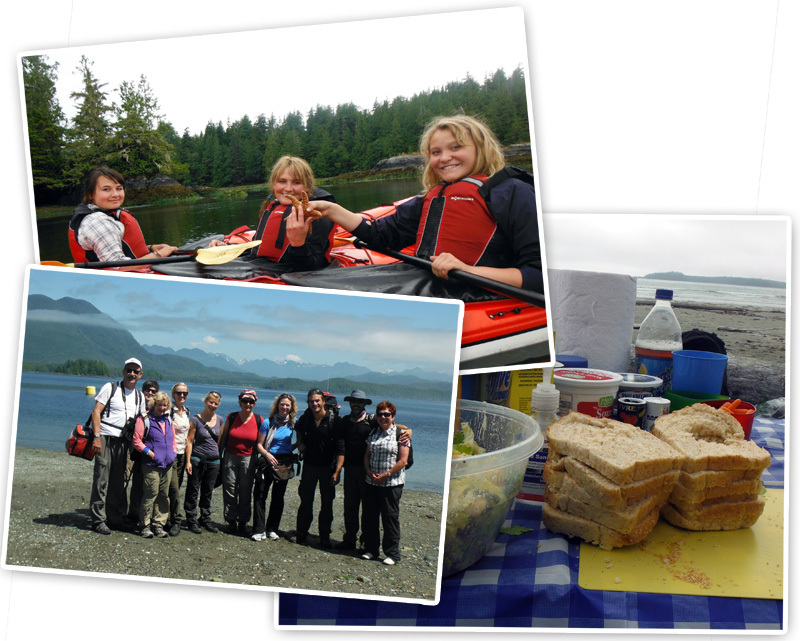 We'll paddle our way to each of the little islets that you have seen from Tofino and show you some more. 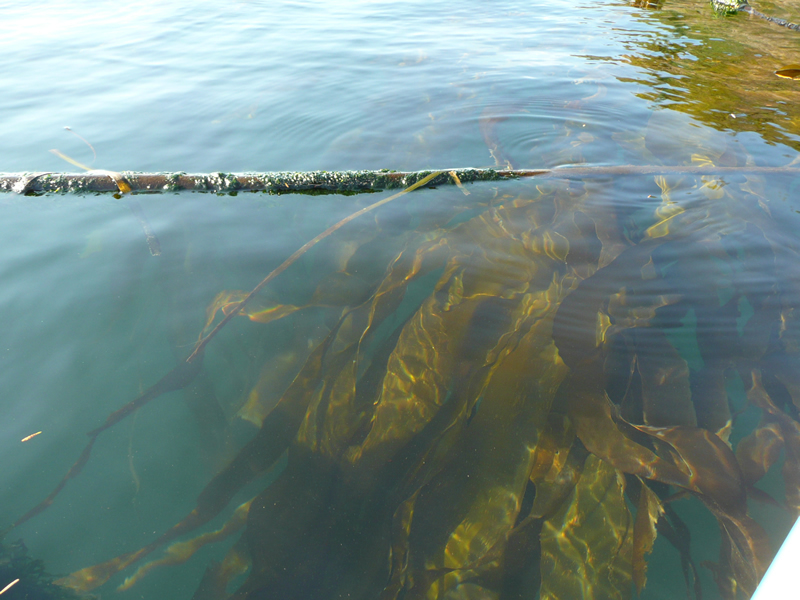 You'll be able to explore the shorelines of these little treasures and see lots of things you can only see from a kayak. 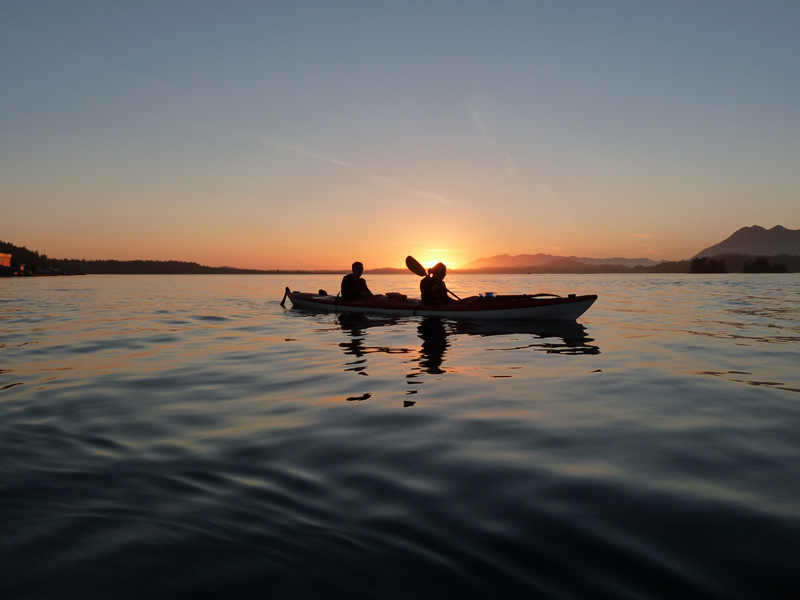 Depending on weather and sea state we might even be able to paddle to the outside of the sound and get a taste of open sea kayaking. Be fortunate and meet the wildlife at its doorstep like seals, sea and river-otters, sea lions, porpoises, bald eagles and many more marine and land-based species. 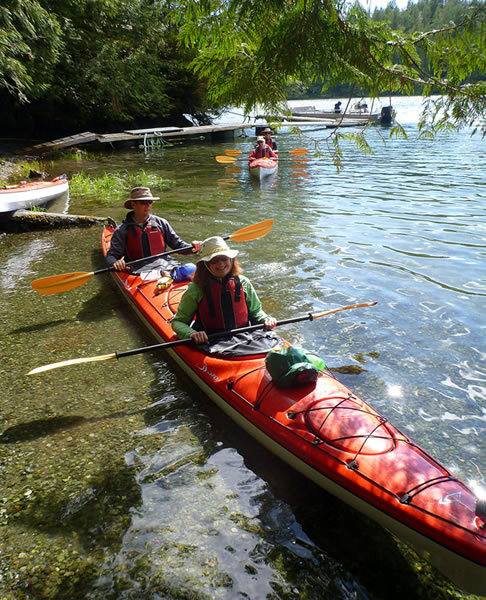 Paddle along a variety of getaways and unique housings at the shores or on the water. 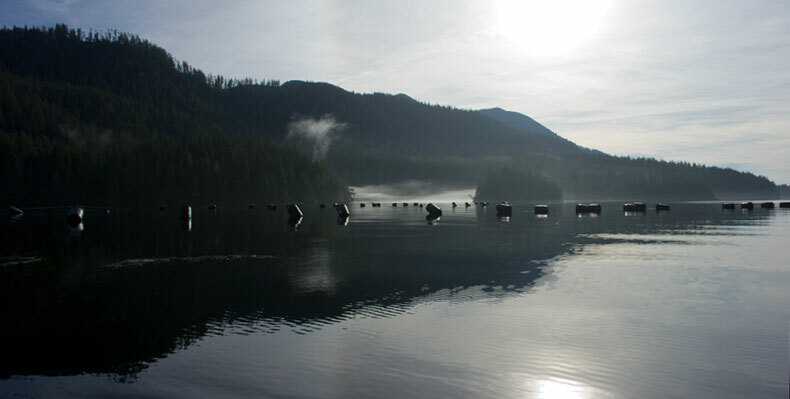 Once or twice a year you might even get the chance to see Orcas within the Tofino harbor area. Bring nothing but your enthusiasm and a camera! 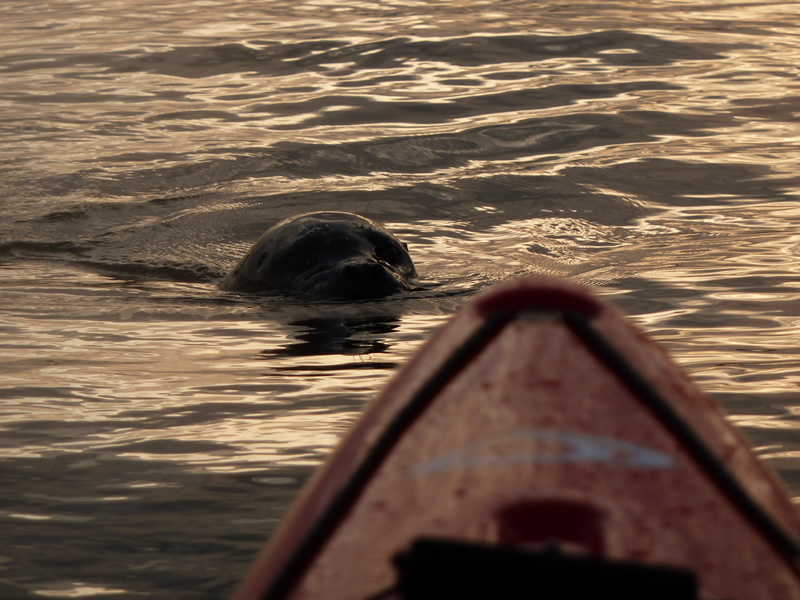 Our guides will also photograph most of our kayaking trips - click here to check out our tour photos! On a limited time budget? 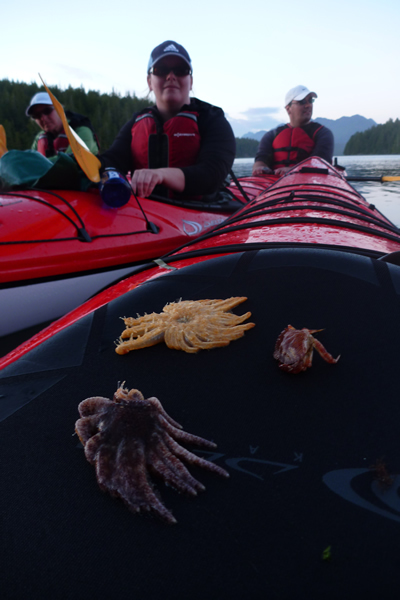 You still have time to have an amazing and adventurous Tofino kayaking experience. This is your obvious choice. 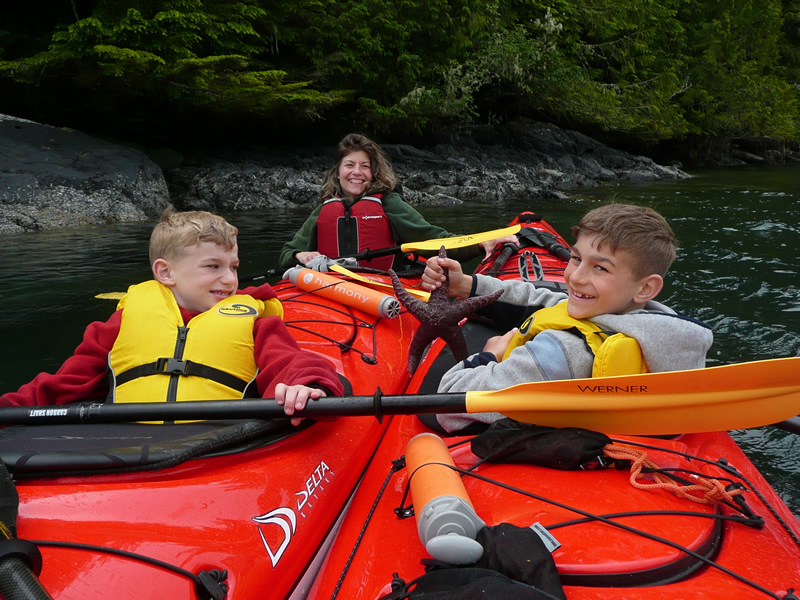 During your stay in Tofino, jump in a kayak, get a view from a different angle and take home a memory with a unique perspective. 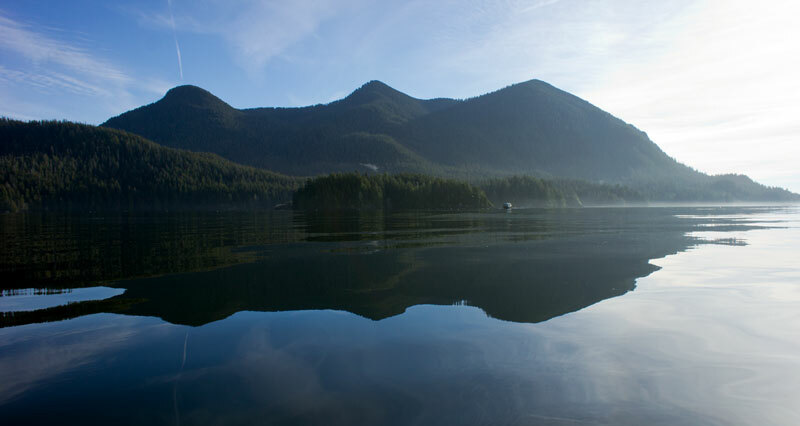 Lemmens inlet, encompassed by a sensational mountain panorama, provides a stunning view into Strathcona Park during this kayaking tour. 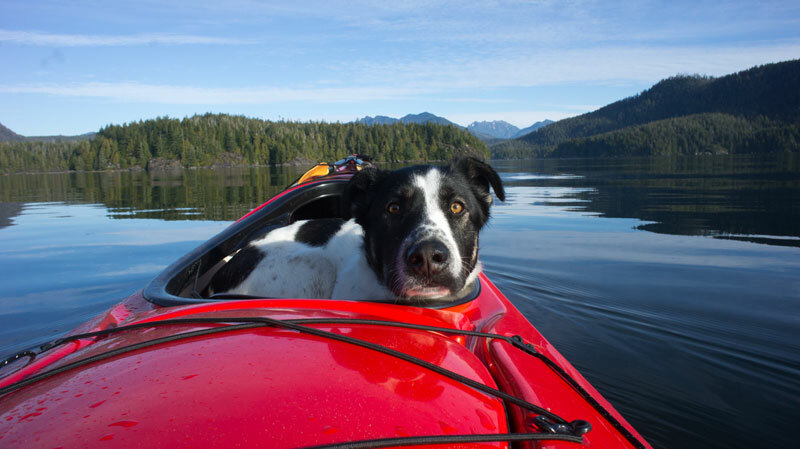 Early explorers found this destination to be a preferred anchorage spot due to the surrounding peaks, namely Lone Cone and Mount Colnett ...and kayakers appreciate it for the same reason: a safe paddle! Now you may be wondering about tidal currents or that six hours seems a bit ambitious. Good thinking! But, not to worry. On our way to 'Adventure Cove', our potential destination, we will use the current to our advantage and always 'go with the flow'. Needless to say, there is much more to discover about Lemmens. 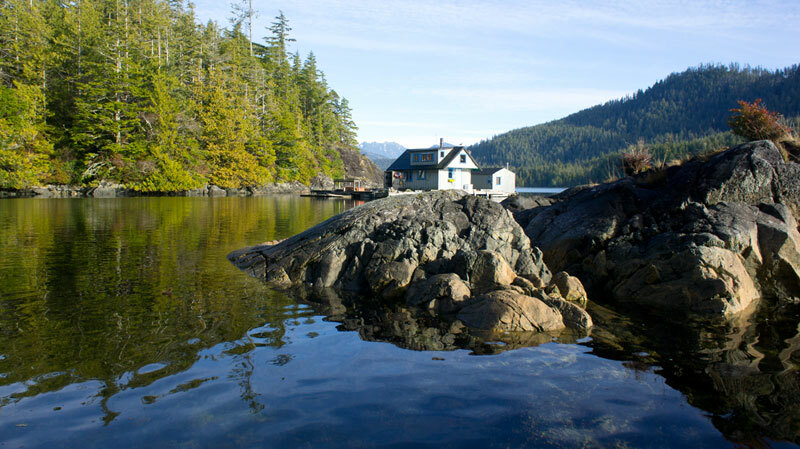 We'll chat about its significant history and explore its islets, float homes and oyster farms. 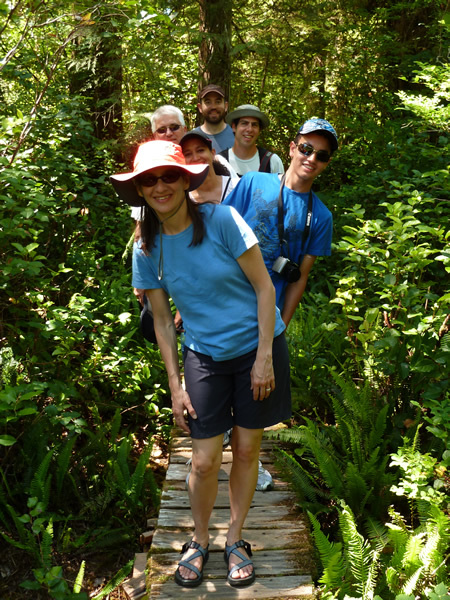 In addition, we will visit the famous Tofino mudflats, which are one of the ten most critical wetland areas for migratory birds on Canada's west coast. 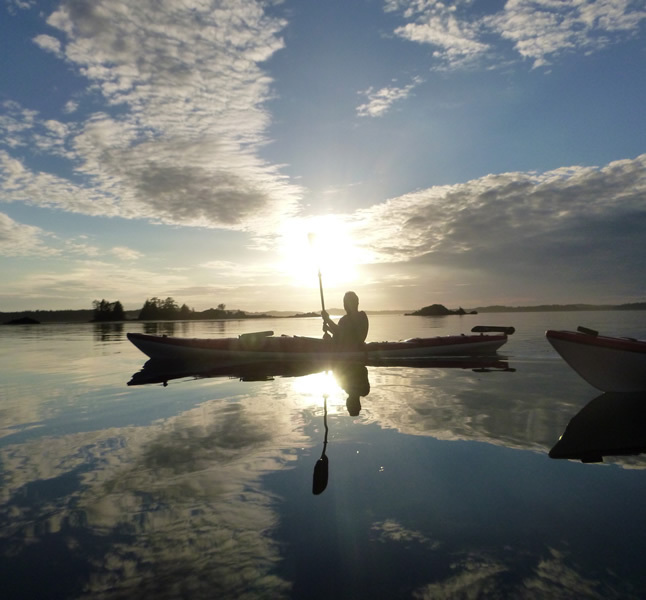 So, pack your camera and join us on this outdoor adventure, immersing yourself in this kayaking paradise, rarely found anywhere. Vargas Island. 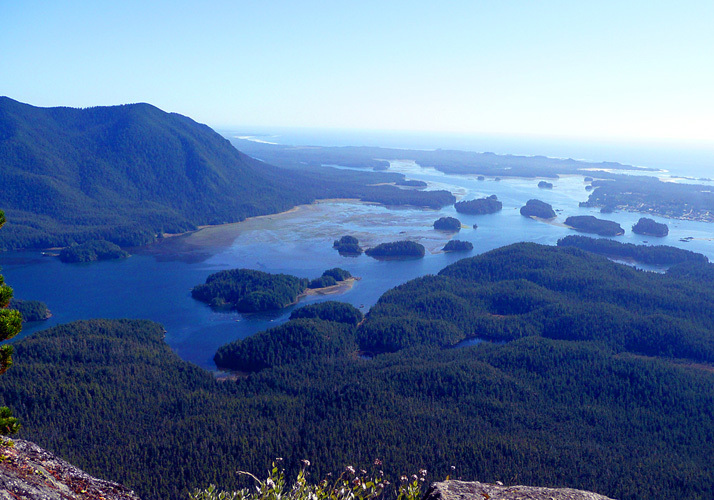 located about 6km to the north-west is one of our most favourite destinations at close proximity from Tofino! Depending on weather conditions we will explore the sandy beaches and rocky shorelines of Vargas' south-west coast or follow the sheltered waters to the north-east. 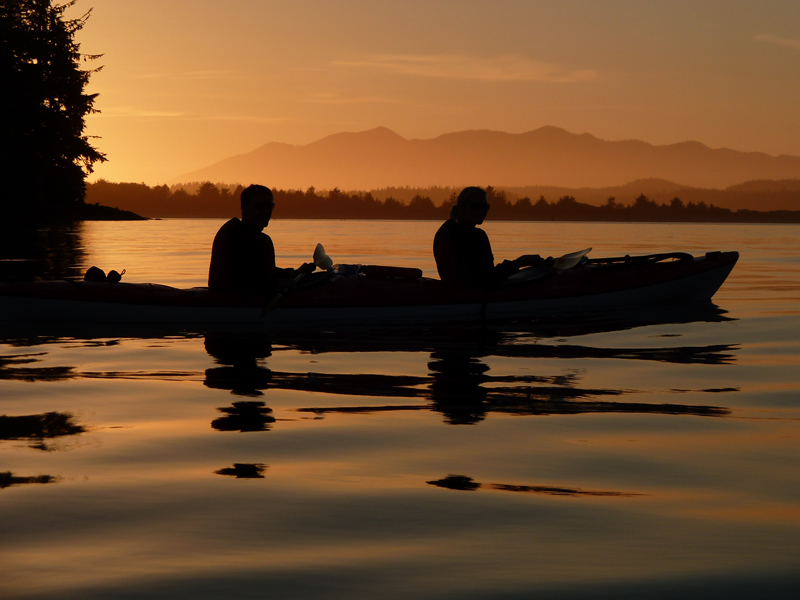 Both routes promise a scenic paddle along typical inlet conditions with steep, rocky shorelines toppled by lush wilderness as well as mudflats and beautiful, sandy beaches. Maybe you're fortunate as it is not uncommon to spot exciting wildlife along the way. At our destination you have the time to relax, snack, explore the beach, walk on your hands or even go for a dip before we return back home. 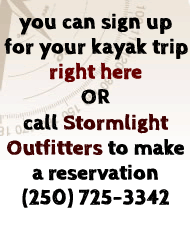 Interested in a full fledged kayak adventure but not enough time for a multiday trip at the moment? 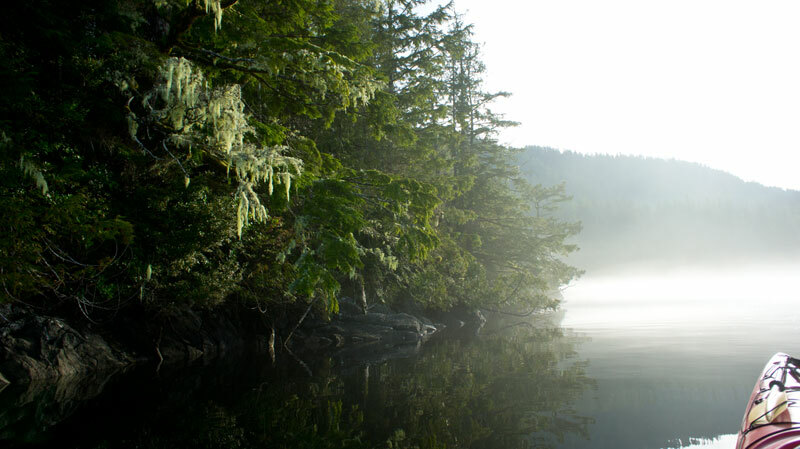 Then our “Clayoquot Explorer” package has been designed with you in mind. …go farther, see more wildlife and spectacular places! We can take you onto various trail-attractions in the area e.g. the mudflats of Meares Island (3hrs), up Lone Cone (5hrs) or the bogwalk to Ahous Bay on Vargas Island (4hrs), just to name a few. Of course you will take the trip in one of our first class boats, gear and be accompanied by one of our reliable, friendly and knowledgeable guides. In other words, everything that makes us so successful in our other trips!